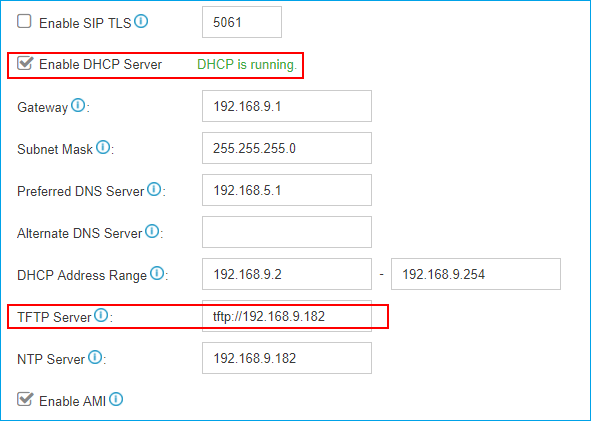 What is the default IP of S-Series VoIP PBX? 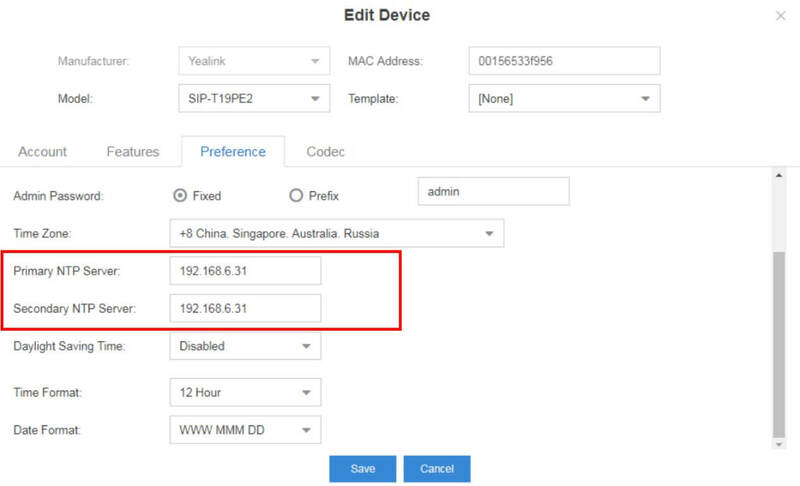 The default IP of S-Series VoIP PBX is 192.168.5.150. 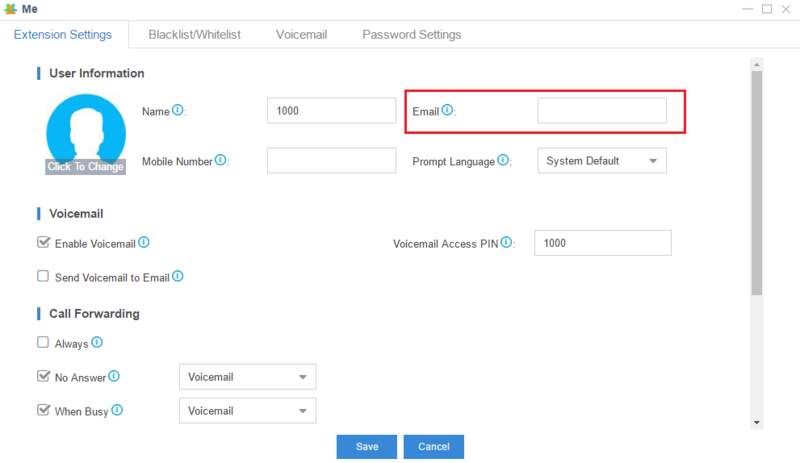 What is the default username and password of the administrator account in S-Series VoIP PBX? The default administrator account in S-Series VoIP PBX is “admin” and “password”. And for better security, we highly suggest that you change the default password after your first login. Please click and go to “My Settings” and change the password after you log in the Web GUI. 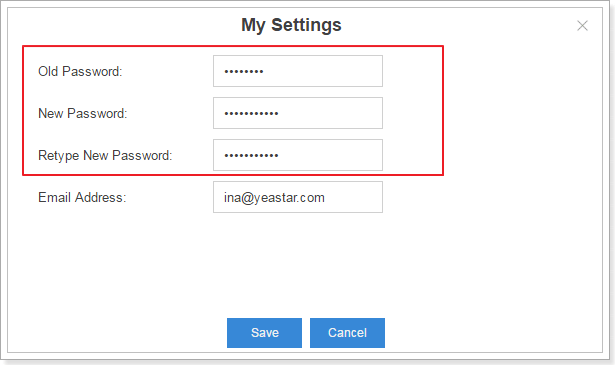 How to change the default password of the user account? 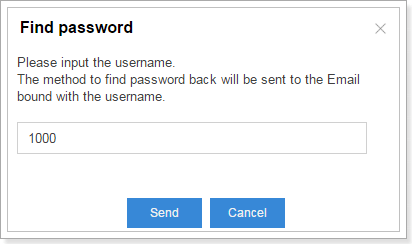 You could click “Forgot Password?” on the login page to reset your password. 1. The account is tied to an email address. If you are the administrator, you can configure by clicking and “My Settings”. If you are an extension user, you can log in the Extension User Web Interface and go to “Me” to tie an email to this account. 2. You have already configured the correct email settings and sent the test email successfully. Go to Settings→ System→ Email and input the email address, password, SMTP, POP3, ports and also tick “enable SSL/TLS” if needed. Now let’s see how to reset the password.1. 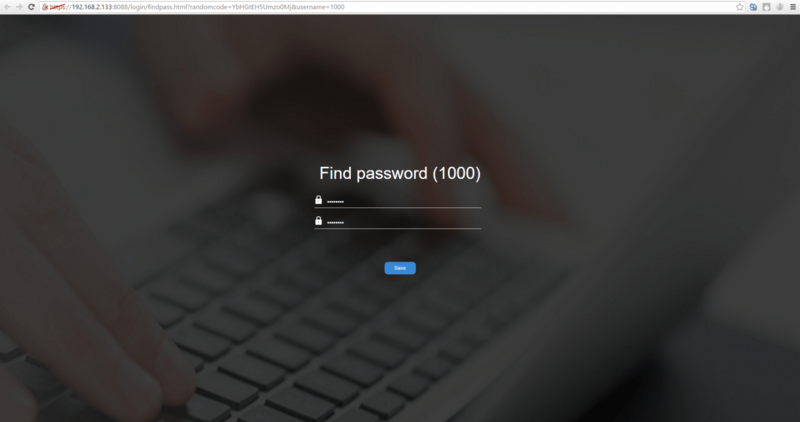 Click “Forgot Password?” in the login page. 3. 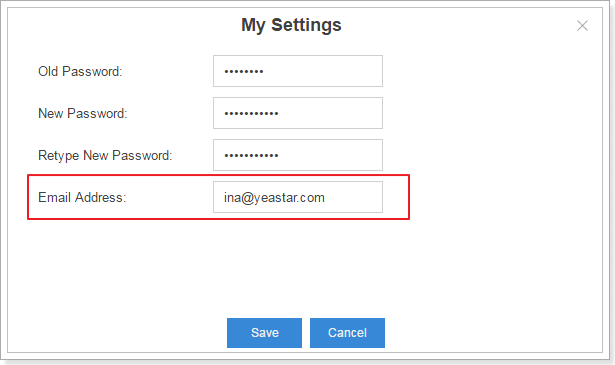 Input the username (extension number) and the system will send an email to your email box which is tied to the account. 4. Click the link in the email inbox to reset the password. Please note that the link is only valid in the local area network within 30 minutes. 5. Input a new password and retype the new password. How to change the extension range? A. Go to Settings→ General→ Preferences and configure it in the “User Extensions”. How to add an FXS extension? Go to Settings→ PBX→ Extensions, click “add” in the extension edit page. Tick “FXS” in “type” and choose the FXS span port. 1. 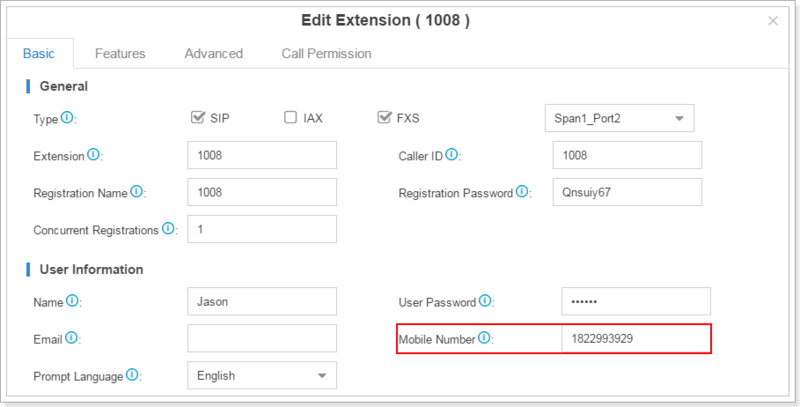 Extensions on S-Series VOIP PBX can be “SIP”, “IAX” and “FXS” at the same time. 2. If the extension has ticked “FXS”, you must assign an FXS port for the extension. If the FXS port in the drop-down list is RED, it means the FXS port is being used and you cannot choose this port. If the port is BLACK, it means the port is idle. 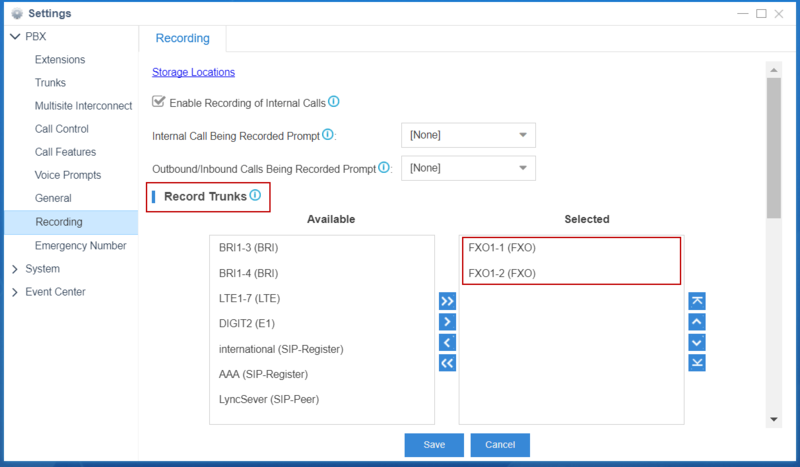 What’s SIP forking in S-Series VoIP PBX? How to configure it? SIP forking is a feature that enables an extension number to be registered by multiple SIP terminals simultaneously; and the amount of terminals can be 5 at most. Click Settings → Add/Edit Extension, and modify Concurrent Registrations. 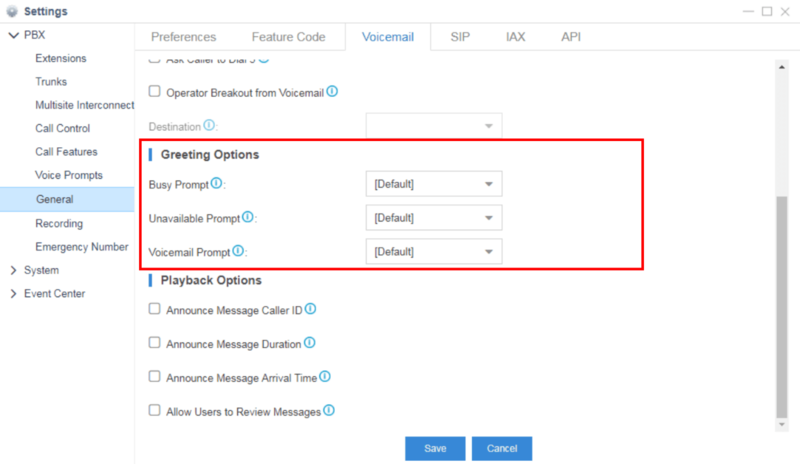 How to select the extensions as a group in S-Series VoIP PBX? 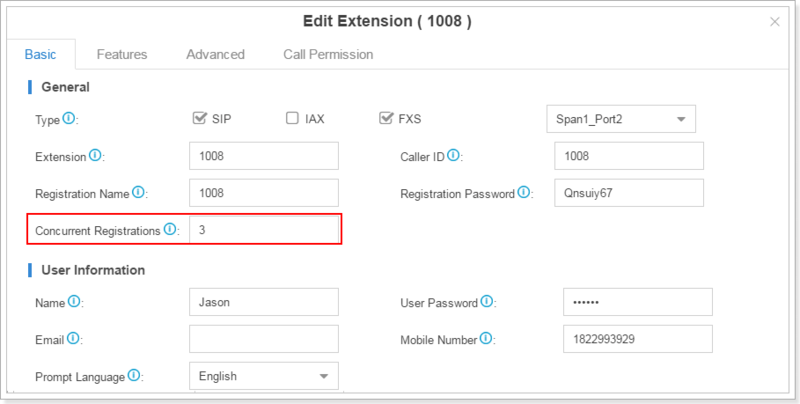 In S-Series VoIP PBX there is a feature called “Extension Group”. We could custom the extension group by adding the extensions you want to this group and name it. 1. Go to Settings → PBX → Extension Group, click “Add” in the extension list page. 2. 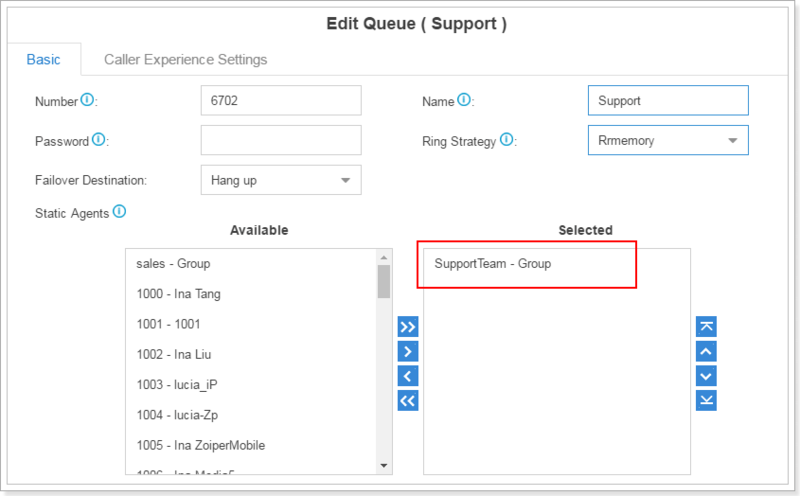 Create an extension group, input the name of the group and choose the extensions to the selected box. 3. 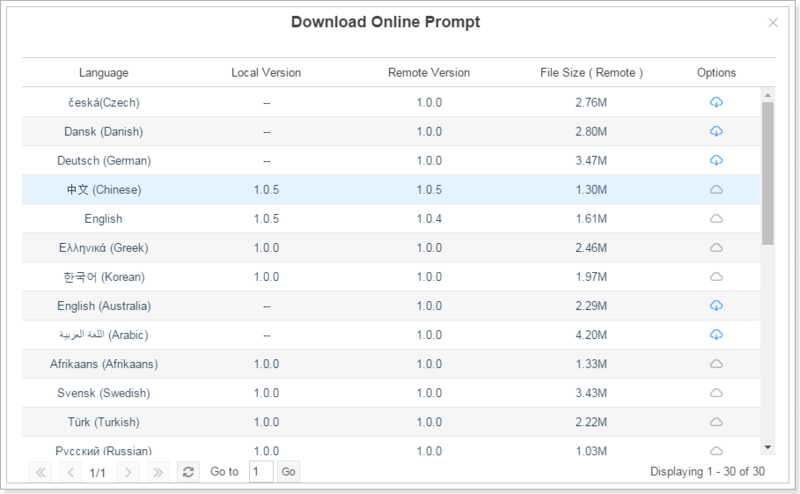 After creating the extension group, you could choose the extension group into the selected box on the extension edit page instead of choosing extensions one by one. For example, when you create a queue, you could select an extension group. S-Series supports auto provisioning of IP phones from Yealink, Cisco, Snom, Panasonic, Mitel, Grandstream, Polycom, Htek, Fanvil, VTech, etc. Please find more details about the brands and models at: https://www.yeastar.com/compatible-sip-terminals/. 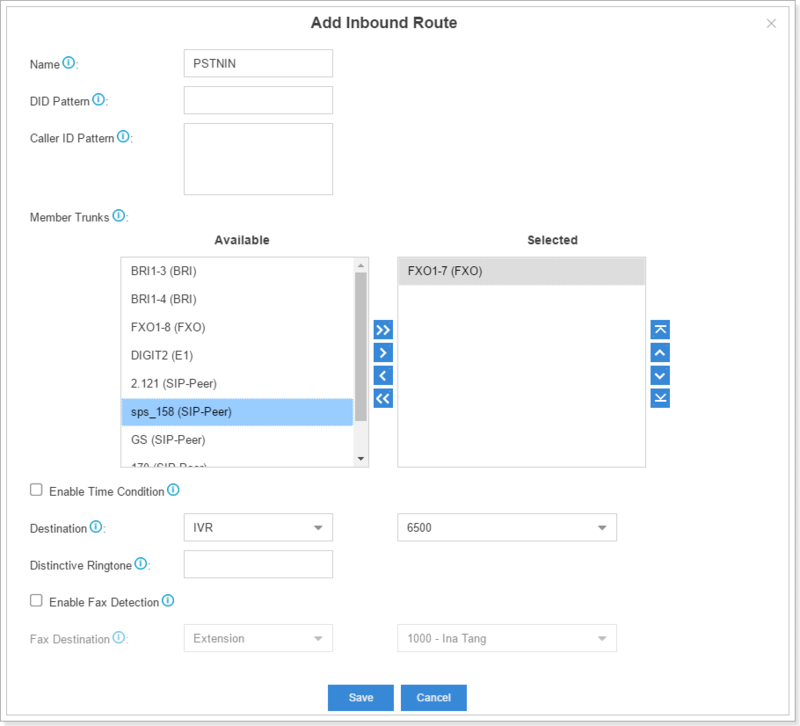 How to configure the inbound routes in S-Series VoIP PBX? 1. Go to Settings → PBX → Call Control → Inbound Routes, click in the inbound routes list page. 2. 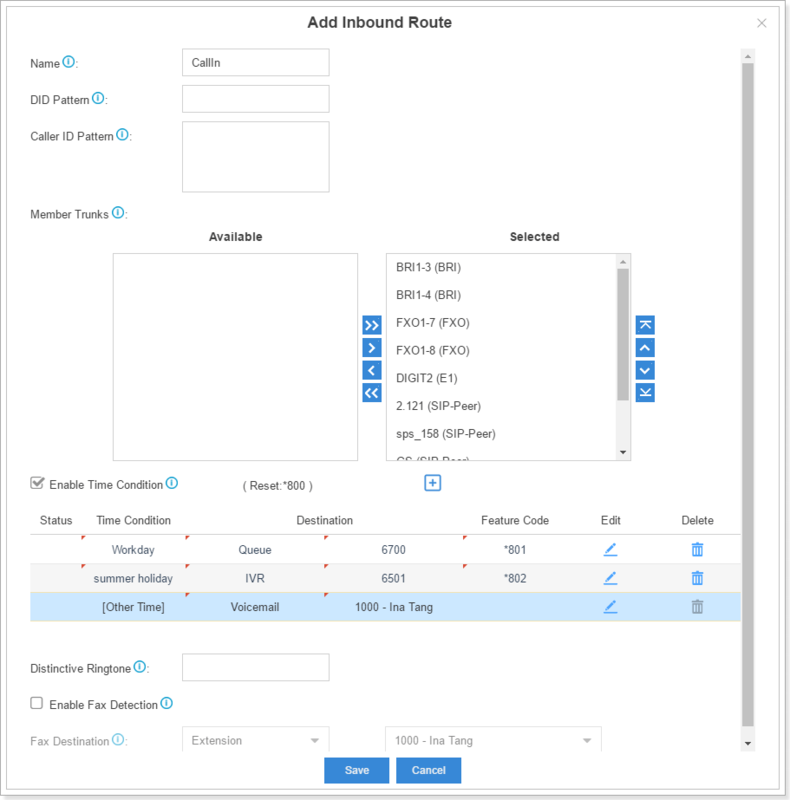 In the inbound routes edit page, you should select the trunk to the selected box and choose the destination to direct the call. The time condition can be set up in order to direct the call according to time periods. The example is shown as follows. For more details, please refer to S-Series VoIP PBX Administrator Guide. How to guide your incoming calls to the different destinations in different time periods with Time Condition? 1. Go to PBX → Call Control → Time Conditions, and add the conditions or the holiday if you need. 2. Go to Settings → PBX → Call Control → Inbound Routes, click to edit on the inbound routes list page. Tick “Enable Time Condition” and click , add the time condition and set up the destination. The period which doesn`t match the time condition you create will lead to destination in “[other time]”. How to override the time condition and how to cancel the override? 1. Check the feature code on the inbound routes edit page. There are three feature codes in the following picture: “*801”, “*802” and “*800.” “*800” is used to cancel the override and reset the destination to the origin status. 2. Use the extension to press the feature code like “*801” to override the Time Condition “Workday”. 3. The overwritten Time Condition will have a check mark sign before it. 4. If you want to cancel the override and lead calls to the original destinations you have set up, you could use the extension to press the Reset feature code, like “*800” in the example. Where to see the AutoCLIP record list? Go to Settings → PBX → Call Control → AutoCLIP Route, click “View AutoCLIP List” to check the information. Why am I hearing a beep sound before the dial tone when my phone is off hook? That is because you have unread voicemails, please dial “*2” to listen to it. There will be no beep sound again if all the voicemails are read. 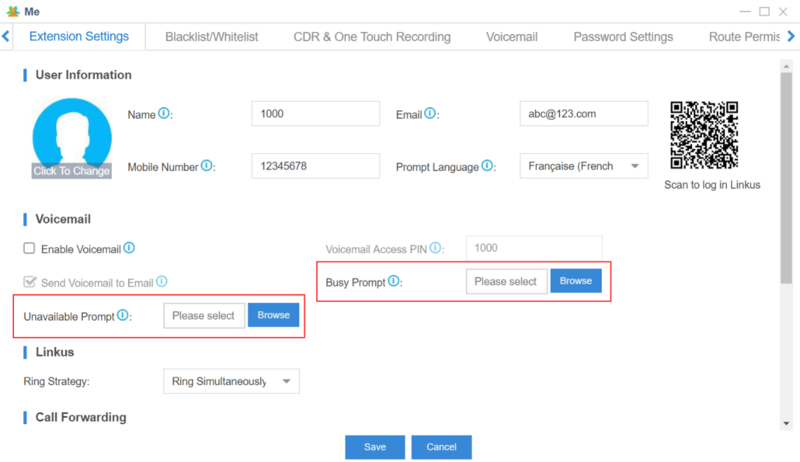 How to use whitelist/blacklist feature in S-Series VoIP PBX? A. The blacklist is used to filter the number. If a number is in the blacklist, the user will not be able to dial out or dial in. The whitelist is used to put the number in the trust field. 1. You can input numbers with patterns in blacklist/whitelist. E.g. if you want to restrict the number starting with 0592 from being dialed, but allow calling the number range of 05925503301-05925503309, you could put “0592550330z” in the whitelist and “0592” in the blacklist. 2. Whitelist has higher priority than blacklist. 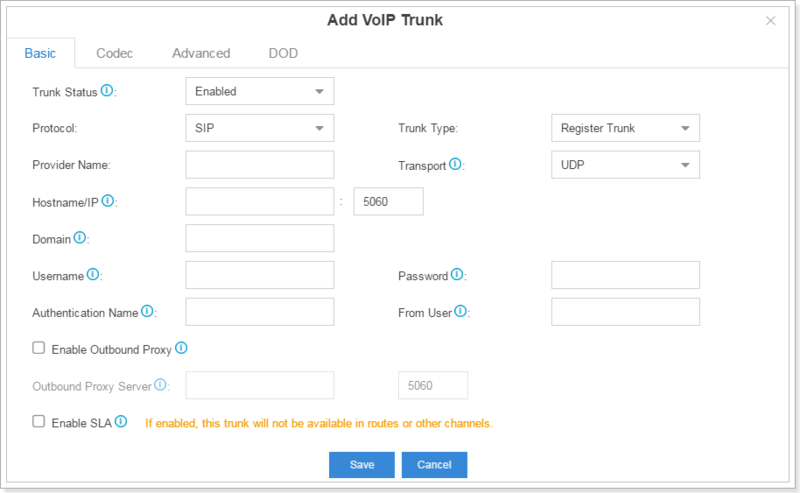 Why does the new change on the S-Series VoIP PBX configuration not take effect? Please click “Apply” on the upper-right corner of the page if you want to save the modified configuration. It will take 1-2 seconds to make it work. Why do we need to configure the default interface when the Ethernet mode is “Dual”? 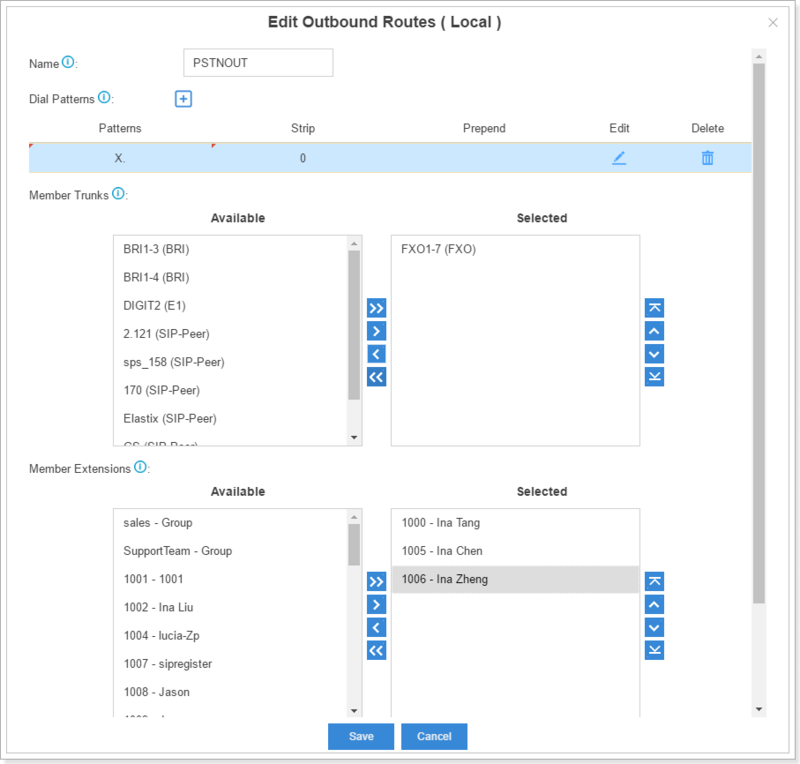 When the Ethernet mode is dual, all the communication packet will go through the default interface except for the routes in the “Static Route”. 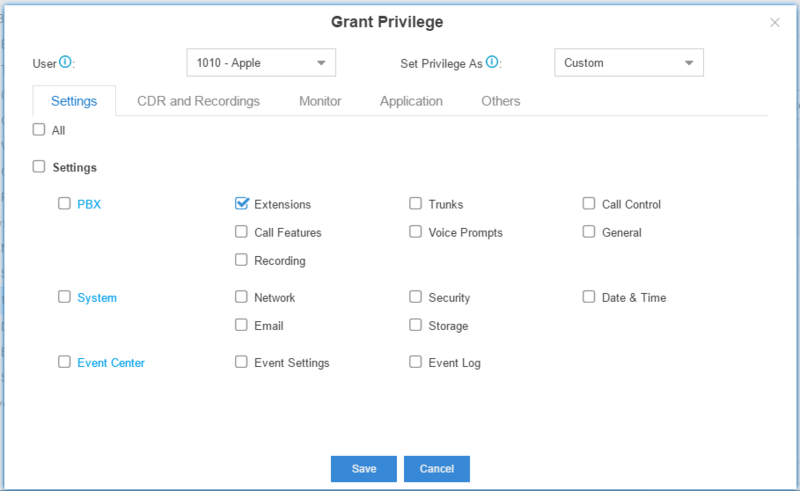 How can the administrator assign permission to the extension? 1. Go to Settings → System → User Permission, click s-se-faq-trunk-14 on user permission list page. 2. Tick the check box before the permission you want to assign. 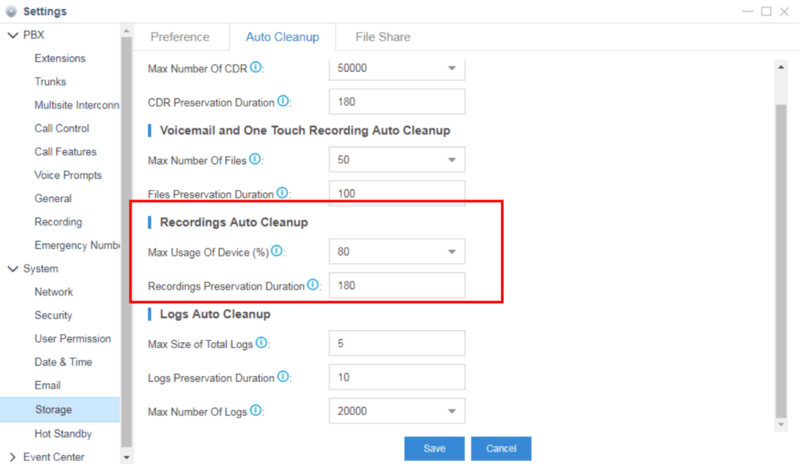 When Call Recording is enabled, how to notify the called party that the call will be recorded? 2. 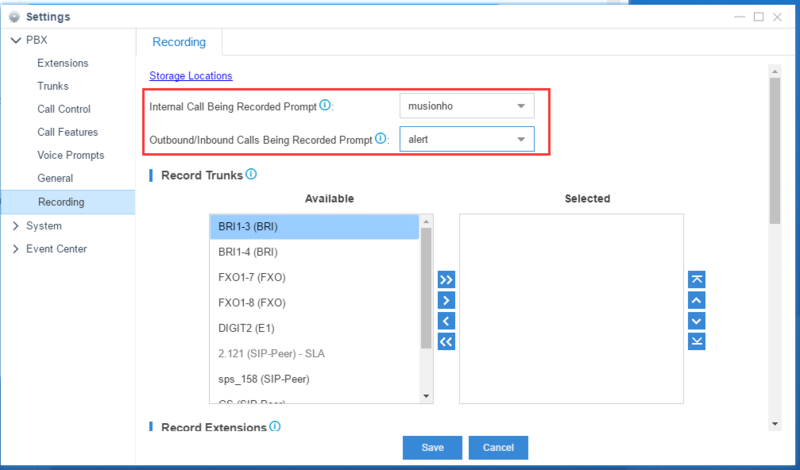 Set up “Internal Calls Being Recorded Prompt” and “Outbound/Inbound Calls Being Recorded Prompt”, click “Save”. I want to use the built-in Music on Hold. Do I need a license? The built-in music on hold files are distributed under the Creative Commons Attribution-ShareAlike 3.0 license through explicit permission from their authors. The license can be found here.